"If there is anyone who comes close to acing Sheikha Mozah Nasser Al Misned's brand of chic, it would be Adlina Anis. The Sheikha is the wife of the Emir of Qatar and has landed on Vanity Fair's International Best Dressed List twice for her effortless yet glamorous get ups. 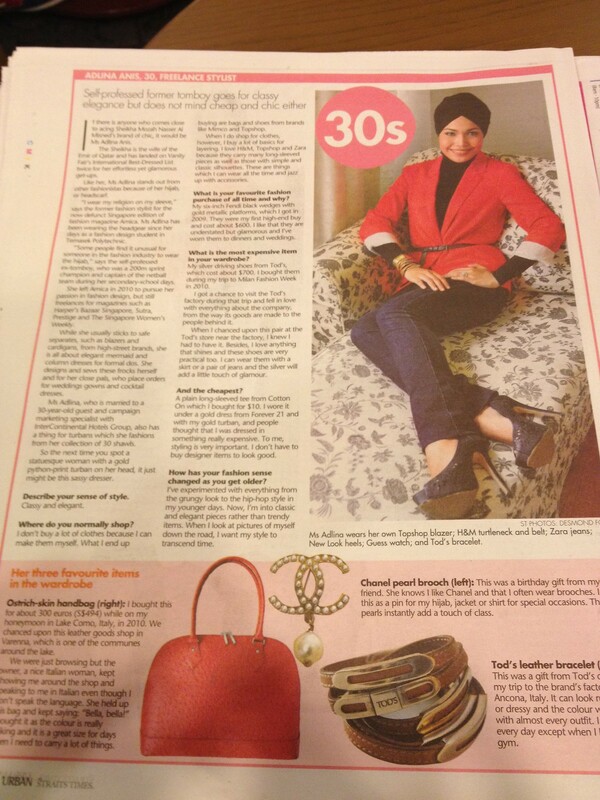 Like her, Ms Adlina stands out from other fashionistas because of her hijab, or headscarf."